Don't like the Wii's Classic Controller? Not thrilled with the GameCube controller? Or the Club Nintendo SNES controller? Save for the Wii Remote itself, those were pretty much the only options. Well, no! 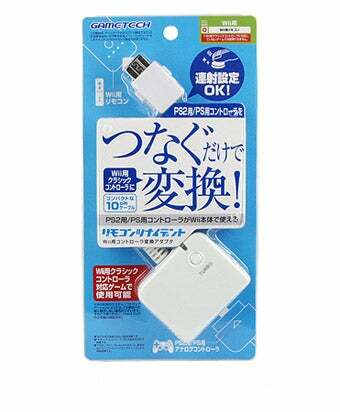 Now you can play Wii games with a PlayStation or PlayStation 2 controller with this fancy adaptor. Priced at ¥1,785 (US$18.50).